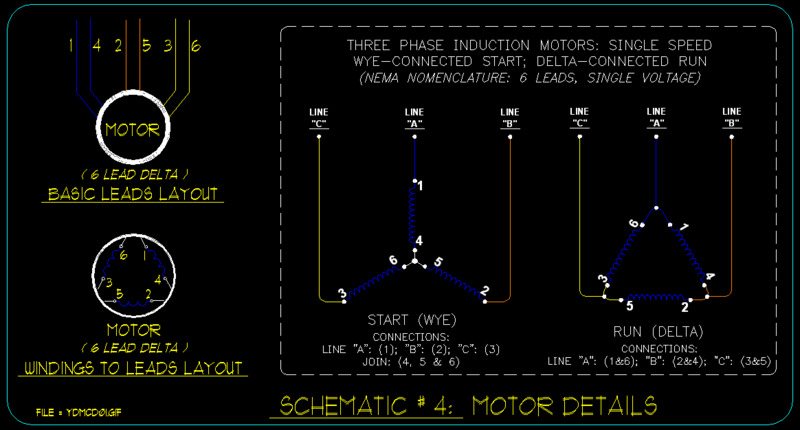 The following Schematics are relevant to the Wye / Delta Starter Drawings, contained in the above post. Fig. 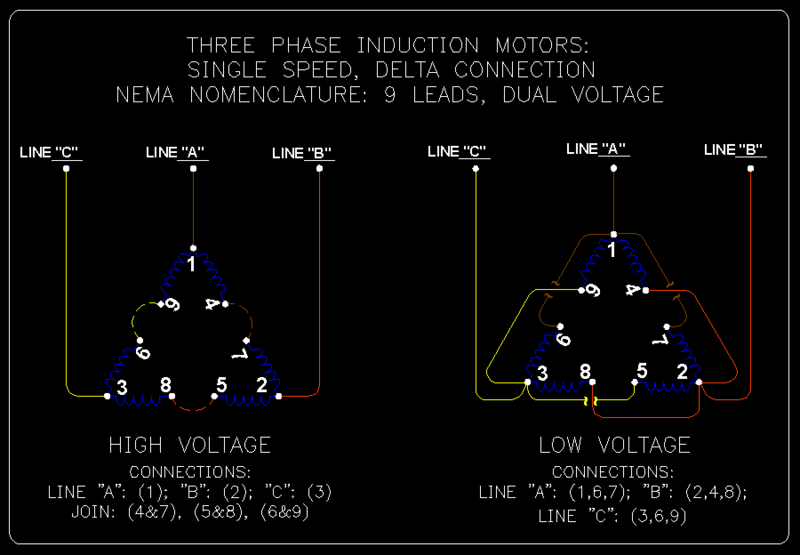 1.1: Motor Leads - Pictorial and Common Schematic, with Lead Identifications. Fig. 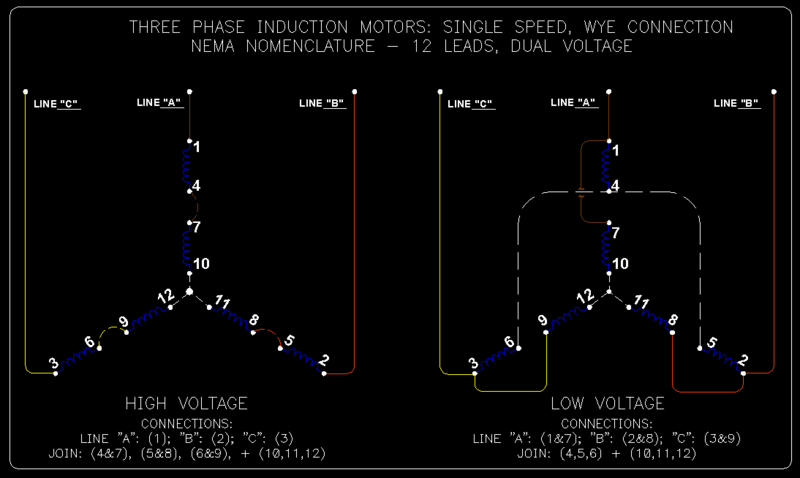 1.2: Connections Details for Single Speed, Single Voltage 6 Lead Motors; External Wye Connections for Starting, External Delta Connections for Run. Fig. 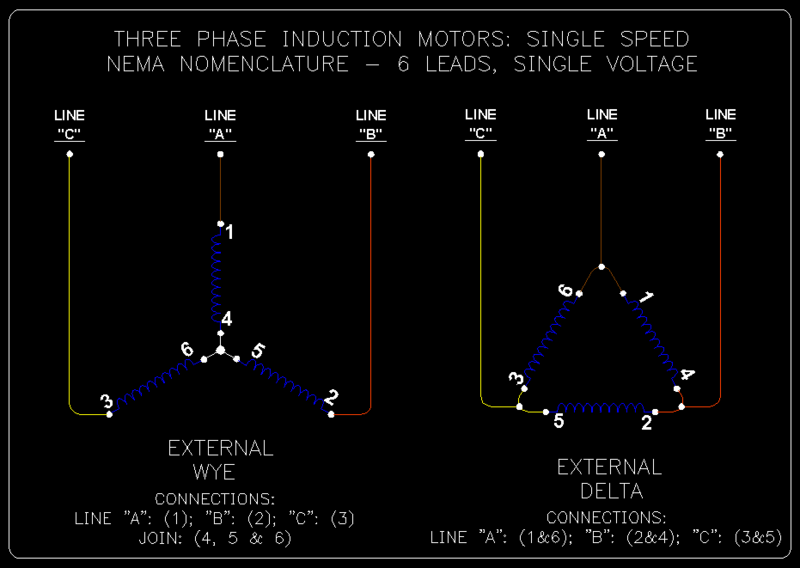 1.3: Connections Details for Single Speed, Dual Voltage 6 Lead Motors; Wye Connections for "High Voltage",Delta Connections for "Low Voltage". Fig. 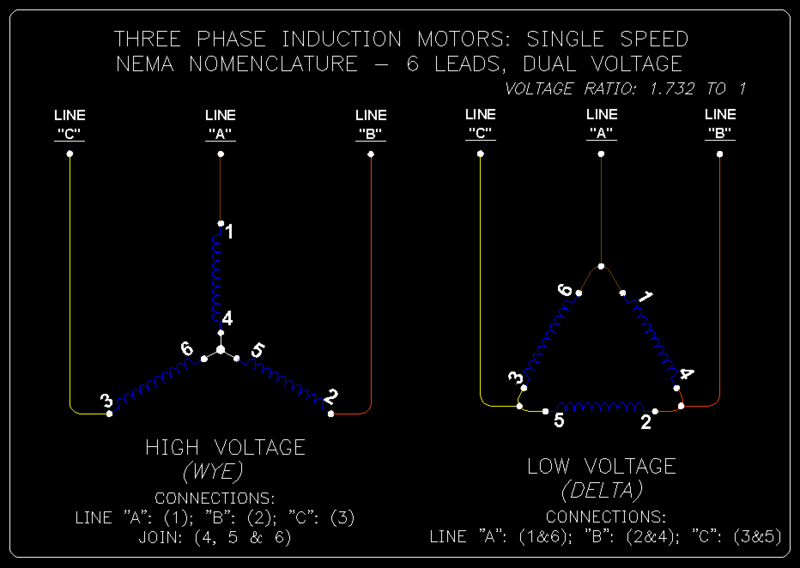 1.4: Connections Details for Single Speed, Dual Voltage 9 Lead Motors; Wye Connections for "High Voltage",Delta Connections for "Low Voltage". Fig. 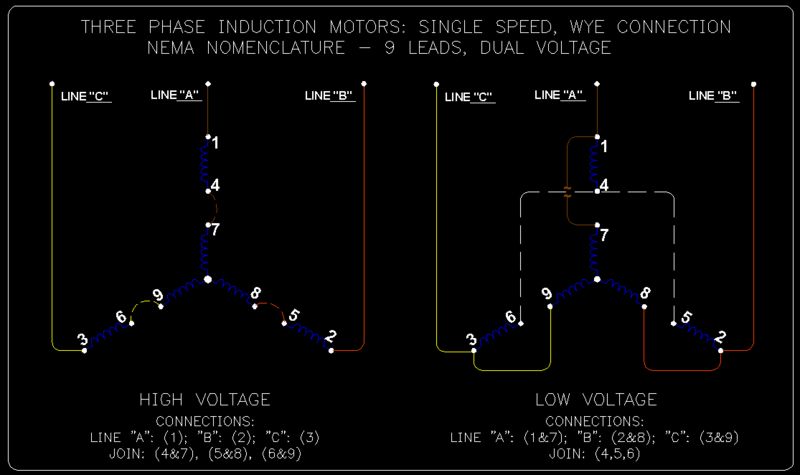 1.5: Connections Details for Single Speed, Dual Voltage - Wye Connected 9 Lead Motors: Connections for "High" and "Low" Voltage. Fig. 1.6: Connections Details for Single Speed, Dual Voltage - Wye Connected 12 Lead Motors: Connections for "High" and "Low" Voltage.